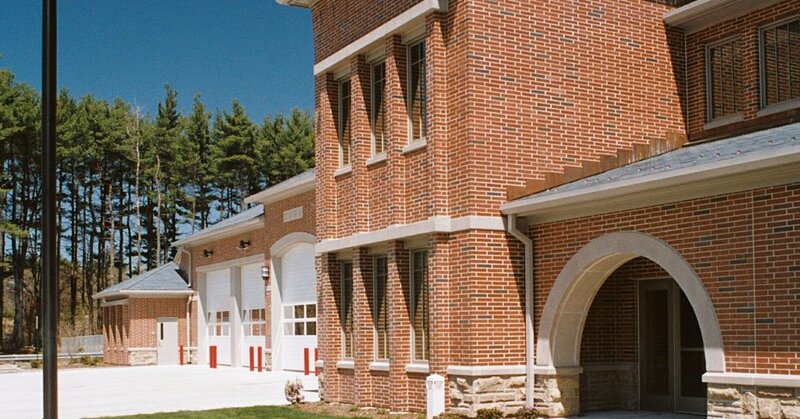 CDR Maguire designed the new fire headquarters for the Hudson Fire Department, which was constructed on a 71-acre parcel of town-owned land adjacent to the Assabet River. The new facility has an apparatus floor consisting of five double-bays and two drive-thrus, as well as 13,800 square feet of administration, personnel quarters, and support space. A two-story configuration was developed to minimize the footprint of the building, respond to the site constraints, and allow for future expansion to accommodate growth of the town and the department. The facility also contains a training tower and training room that can serve as an emergency operations center.